Do you have a flat that needs to be changed? 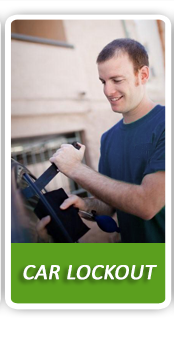 Let the pros at Emergency Towing in San Francisco handle the flat tire replacement services for you. 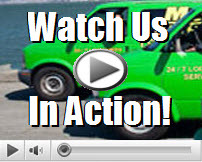 We are the premier roadside assistance company in San Francisco. We can send an emergency tow truck with a lightning response time. Flat tires can occur at any time and any given place. Although they might not be difficult to change during the day, they can be outright dangerous to change at night. Visibility becomes much less limited, making it difficult to spot vehicles from a distance. In addition to spotting vehicles, you might easily misplace an important lug nut to screw back the tire. Emergency Towing in San Francisco operates at night and during all hazardous weather conditions. Our job is to safely change the flat in no time, so you can be on your way. Emergency Towing in San Francisco provides emergency roadside assistance services, which includes; flat tire change, emergency towing, dead battery replacement, jump start services, out of gas refueling, and auto locksmith. 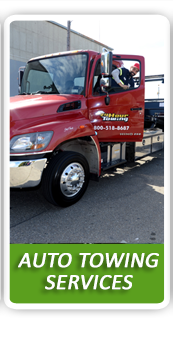 Leave the hard work to the trained pros at Towing San Francisco. We carefully set up an emergency red fluorescent triangle sign to warn other drivers of the roadside assistance being performed. Once the red fluorescent triangle is set up, we will then begin changing the damaged tire. A heavy light is used to help guide our roadside crew in night conditions. We will provide you with a very reasonable quote that you can put into writing. Emergency Towing in San Francisco works closely with all major roadside insurance companies, so you don’t have to foot the bill by yourself. 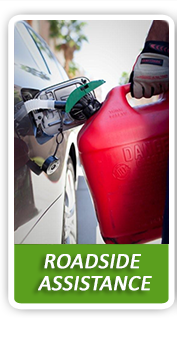 We are fully certified roadside and towing technicians that have tons of experience in the industry. 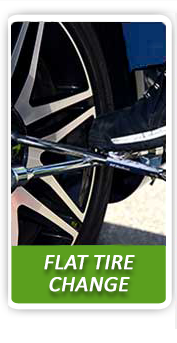 We understand the frustrations of hearing the screeching or popping sounds of a flat tire. Our responsibility is to get to the scene in a hurry to help change the flat tire for you. We’re also on call anytime, since you can never quite predict when a flat tire might occur. A flat tire no longer needs to drive you crazy or ruin your day, when the experts at Towing San Francisco are on the way!